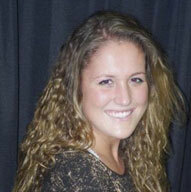 Amanda Crowl is from Rocky Hill, CT and graduated from UConn with a bachelor’s degree in Communication. Amanda was a member and choreographer for the UConn Dance Company during her time in school. The UConn Dance Company gave Amanda experience in choreographing for large groups and being ableto perform at different venues around campus. Amanda started dancing at the age of 2 and started at Dance 10 in 2002. During college, Amanda also started teaching hip hop classes at Dance 10. Currently, Amanda works as a Construction Manager for Turner Construction renovating various spaces for Yale New Haven Health System. Amanda loves her Dance 10 family and is extremely honored to be able to teach at such a great place. Amanda loves to spend time with her family, friends and her bestie, her dog Roxy!